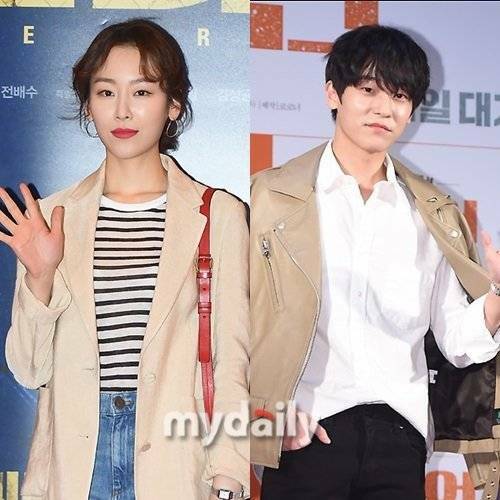 Seo Hyun-jin and Byung Hun in "Let's Eat - Season 3"
Loyal actress Seo Hyun-jin is back and Byung Hun are starring in the new tvN drama "Let's Eat - Season 3". Seo Hyun-jin is making a cameo as Goo Dae-yeong's ex-girlfriend. She is doing this out of loyalty for the "Let's Eat" team. She starred in the second season with Yoon Doo-joon and Kwon Yool in 2015. Seo Hyun-jin played a calm role and made an impressive performance through "Let's Eat - Season 2". "Let's Eat - Season 3" means a lot to her. Byung Hun is the latest addition to "Let's Eat - Season 3". His character hasn't been revealed yet. Byung Hun had a fall out with his previous agency and has been active in musical and theater since then. Meanwhile, Yoon Doo-joon plays Goo Dae-yeong once again with Baek Jin-hee as his co-star in "Let's Eat - Season 3" that's coming in July. "Seo Hyun-jin and Byung Hun in "Let's Eat - Season 3""